Dog bite injuries are extremely common in the United States, and according to DogsBite.org, approximately 4.5 million people in this country experience a dog bite or dog attack every year. This number probably includes the wide range of potential dog bites, which vary from a small nip on the finger to full-blown dog attacks that require serious medical attention. There are an estimated 78.2 million dogs in the United States, which means the potential for injuries from dog bites is quite significant. Injuries from police dog attacks are much less common, however, as law enforcement agencies are trained and legally obligated to keep K-9s under control and away from public citizens. But because police dogs are trained to attack and subdue potentially dangerous suspects, the injuries that can result from an attack are much more likely to require medical attention, including surgery. If you have been attacked by a vicious dog you may need the help of an experienced dog bite lawyer in order to get compensation for your losses. Take the story of Mark Roberts, a 58-year-old Pierce County resident who was recently featured in a Seattle Times article about innocent victims of police dog bites. According to the article, one individual Pierce County Sheriff’s Department K-9 Officer has cost the county $352,500 in lawsuit settlement payments since 2010. Roberts was standing in his own driveway in 2008 when Vasko, the Pierce County Sheriff’s Department K-9 Officer, attacked him out of nowhere. He suffered extensive injuries to his arm and leg. He filed a federal lawsuit against Pierce County and his claim was settled for $350,000. A 53-year-old Pierce County woman was also incidentally bitten by Vasko, yet her injuries were much less severe. Her claim was settled for $2,500, making up the remainder of the $352,500 that Piece County has paid out. A third woman, who was bitten by the Pierce County police dog in 2010, has a claim that is currently pending. 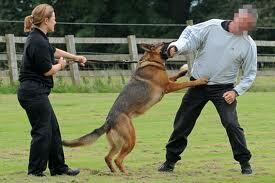 But Vasko is not the only police dog in the state responsible for inflicting serious, costly injuries on civilians. 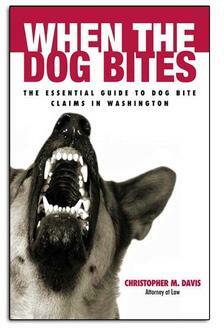 The Seattle Times article reports that there have been at least 17 incidents over the past five years in Western Washington that involved a police dog mistakenly attacking an innocent bystander. According to the Seattle Times, those 17 total incidents resulted in $1 million in damages payments from various law enforcement agencies throughout Western Washington, including King and Pierce counties. The Times article says that three individual dogs – one in Seattle and two more from Pierce County – are responsible for nine of the 17 total incidents. Those incidents also account for two-thirds of the nearly $1 million in settlement payments. Law enforcement agencies train police dogs to “bite and hold,” meaning they are taught to latch onto a person’s body until given a command by an officer to let go. Though this technique is effective in apprehending criminals, it usually results in devastating injuries for those who are mistakenly targeted. And if the dog’s handler is not present at the time of the attack, the injuries are likely going to be much more severe.